“Union rights are human rights.” That has been said loud and often. But it bears repeating. Labour rights are specialised extensions of the principles set out in the Universal Declaration of Human Rights. “Everyone has the right to form and to join trade unions for the protection of his interests,” the declaration insists. Nobody reading this column is likely to disagree (except, perhaps, with the “his”). Philosophically, core human rights such as freedom of association have always underpinned core labour rights. We seldom hear the equation put the other way round: “Human rights are union rights”. And yet it is just as true. A place that disregards any of the basic human rights is a place that trade unions will find irksome. So what of the other rights in the Universal Declaration? This one, for instance: “Everyone has the right to freedom of opinion and expression; this right includes freedom to hold opinions without interference and to seek, receive and impart information and ideas through any media and regardless of frontiers” (Article 19). It is surely no less relevant to union organising. As the ILO’s Karen Curtis told the 4th Assembly for Human Rights in 2006, “the right to express opinions freely, to hold assemblies and public meetings, to exercise these rights in full freedom and security of person, are nothing less than the basic civil liberties, without which the exercise of trade union rights is rendered meaningless”. And indeed, a current case in Thailand demonstrates the close links between labour rights, democracy and civil liberties. Supporters both inside the country and worldwide have been stepping up their action to free Somyot Pruksakasemsuk. 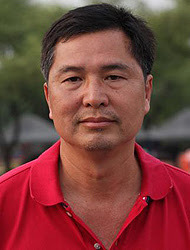 The longtime campaigner for labour rights and democracy has been in jail since April 2011 on lèse majesté charges. He is being held purely on remand. To date, the charges against him have not been proven. In any case, he is not accused of writing the features concerned. He is charged only with the “publication and dissemination” of two articles in the journal Voice of Thaksin, of which he was the acting editor but not the legal publisher. The charge sheet alleges that he thereby “dared to defame, insult, or threaten His Majesty King Bhumipol Adulyadej of the Kingdom of Thailand”. The full texts of the two articles are included in the charge sheet, which is available both in the original Thai and in an unofficial English translation. Expert witnesses have testified that they do not refer to the King. Certainly, it would take quite some imagination to find any threats or insults to the monarchy in what was written. So why has Somyot been in jail for almost a year? The plain truth is that he is rather well known to the Thai authorities. Now aged 50, he joined the Thai labour movement as a teenager. He and other students used the technique of taking jobs in the country’s burgeoning export industries. There, they could get to know the young workers who were moving in from the impoverished rural areas, listen to their concerns, talk to them about trade unionism, and gather information about pay, safety and discipline in the export plants. As part of the student movement, Somyot was also active in the 1976 democracy demonstrations in Thailand. And he set up a national campaign for maternity rights. In the 1980s, his organising work took a significant new turn when he founded the Centre for Labor Information Service and Training (CLIST). This provided much-needed training and advice for local unions in the industrial zones of the Bangkok region. Its work benefited unions in sectors ranging from the auto industry to chemicals, garments, diamonds and energy. CLIST cooperated with both national and international labour confederations, building up a well-respected network of activists and campaigns. Somyot also put his organising experience at the service of unions in other newly industrialising countries. In 2005, he fulfilled a lifelong ambition when he launched a left-wing publishing company. Among other things, it produced paperbacks about the Thai labour movement. As part of the company’s dissemination work, he also organised a series of public debates and seminars, as well as making use of online forums and blogs to engage people on issues of Thai politics, labour and social justice. On the political side, he has been active in the Thai Democratic Party. Not surprisingly, his arrest sparked protests both in Thailand and abroad. Trade unions in a number of countries have held demonstrations and organised petitions. In November 2011, organisations including the Clean Clothes Campaign and the Southeast Asian Press Alliance wrote a joint letter to Thai Prime Minister Yingluck Shinnawatra, calling for the charges against Somyot to be dropped or bail to be granted. They also asked for the Thai lèse majesté law to be reviewed, so as to “ensure its conformity with Thailand’s international human rights obligations”. The trial has put Somyot under great physical and psychological pressure. According to the Thailand Mirror, “he has suffered in prison, detained with other inmates in a narrow cell crowded with prisoners. The most comfortable position for him to sleep is to lay down on his side, but the reality is that the inmates are overlapping when they sleep.” Worse still, the court has insisted on moving him around from province to province for prosecution witness hearings, even though all the witnesses are in fact based in Bangkok. In all, he has been transported for more than 4,000 kilometres in cages, standing upright in the back of a truck. He is obliged to wear metal chains weighing more than 10kg. This despite his health problems, which include hypertension and gout. So his release on bail has become a priority for his supporters, who have put up considerable sums as surety. But bail has so far been refused on eight separate occasions – one of them in February 2012, just after Somyot’s son Tai went on hunger strike for 112 hours to demand his father’s release. The length of the fast was a reference to Article 112 of Thailand’s Criminal Code, which prescribes severe punishment for acts of lèse majesté. If convicted, Somyot could face up to 15 years’ imprisonment for each of the two articles published. “We are deeply concerned about the wellbeing of our colleague,” stated Jim Boumelha, President of the International Federation of Journalists (IFJ). “There is simply no reasonable basis to deny him bail so that he can seek treatment.” The conditions in which Somyot is being detained have, the IFJ says, added to the outrage at the continuing use of the lèse majesté law, which “lacks clarity and can be abused to suppress legitimate dissent in Thailand”. 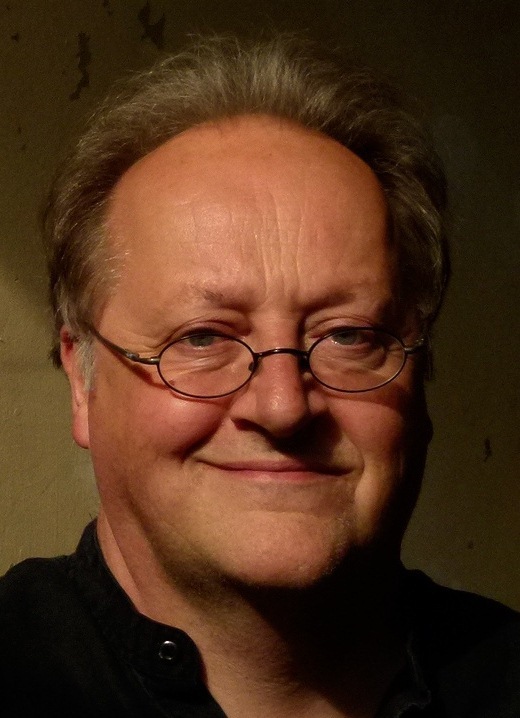 The journalists’ international federation backs the UN Special Rapporteur on freedom of expression, Frank La Rue, who in October 2011 called for a reform of this law. He noted that “the threat of a long prison sentence and vagueness of what kinds of expression constitute defamation, insult, or threat to the monarchy, encourage self-censorship and stifle important debates on matters of public interest, thus putting in jeopardy the right to freedom of opinion and expression”. Indeed, both Thai and foreign journalists have fallen foul of this law. Last December, US blogger Joe Gordon was jailed for two and a half years on charges of using the Internet to disseminate information that insulted the Thai monarchy. In 2009, leading Bangkok-based foreign correspondents were among those investigated by the police after a lèse majesté complaint was lodged against the entire Board of the Foreign Correspondents Club of Thailand. Meanwhile, the campaign to free Somyot continues. Ian Graham is a writer, editor and translator specialising in labour, social and environmental issues. He was formerly in charge of press and publications work for the union internationals ICEM and ICFTU.